A couple of months ago I held a contest on the My 1-2-3 Cents YouTube channel to increase the subscriber base. 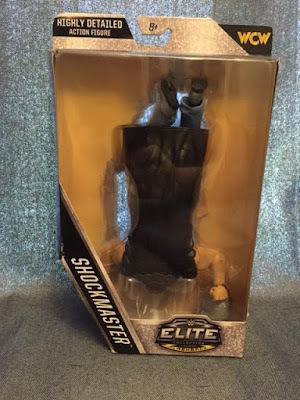 Anyone who subscribed was entered to win the WWE Elite Shockmaster action figure. My buddy Chad Smart (of Positive Cynicism) picked it up at Comic-Con a couple years ago. Long story short, an old friend and former colleague of mine, Michael Roth won the prize. However, Michael has donated the Shockmaster figure back to the My 1-2-3 Cents prize vault. 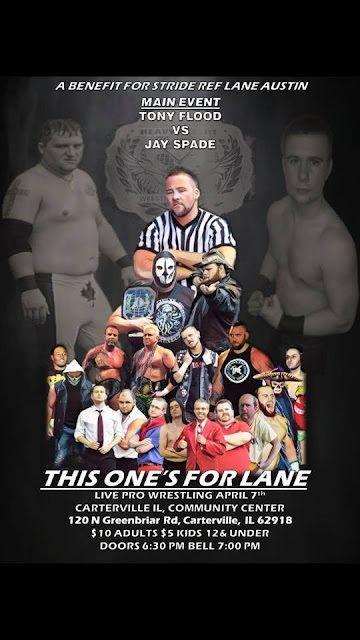 With the Stride Pro Wrestling Lane Austin Benefit Show happening tonight (Saturday, April 7 if you're reading this after the fact), we've come up with a new way for people who can't be at the show to donate. When you make a $5 donation via PayPal you will not only be helping Lane, but you'll also have the opportunity to own the Shockmaster figure. On Monday, April 16 all those donors will be put into a randomizer and whoever is picked will receive the action figure. 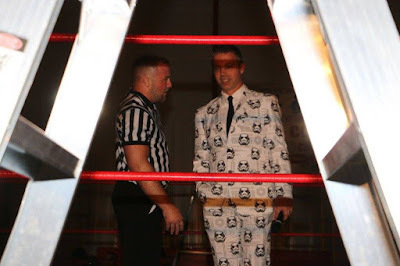 So if you want to be involved, make that donation via PayPal to kevinhunsperger@gmail.com. Every penny donated will go to help with Lane Austin's medical expenses. For those who haven't seen the previous posts, Lane is Stride Pro Wrestling's senior referee and has been hospitalized recently due to complications from type 1 diabetes. His medical bills are mounting as he faces treatment three days a week for several hours at a time. That's also limited his availability to work. So let's come together and help a great guy.